This time of year I see so many cute Halloween ideas that it is always refreshing to see something that is really simple and easy, but just as cute as all of the other ideas. 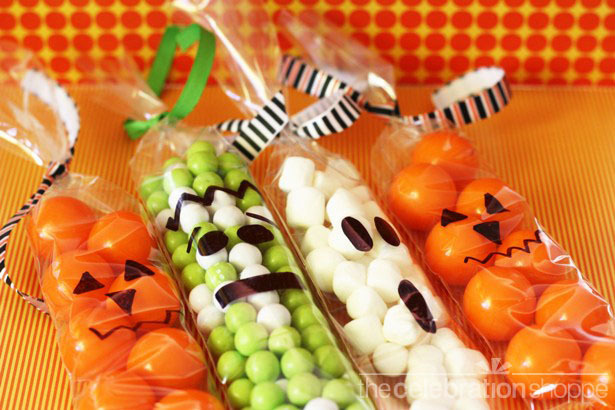 Today that idea are these DIY Halloween treat bags. Cello bags, permanent markers, and this great idea for The Celebration Shoppe. You will love these monster cello bag treats.